Did you ever wonder why so many people were subject to credit card debts and how they kept accumulating these debts? And, did you, one fine day, find yourself thrust into the same category of people you wondered about? Are you struggling to come up with ideas to get you out of the rut? Fear not, help is on its way! Here are five ideas that you will find very simple but at the same time, very effective. Not many people have the habit of noting down their income and expenses. They extend this habit in respect of their debt too. So, they do not have any idea of how much they owe or how much they have paid off. They guess that they could guestimate their way through their debts. This is a bad debt practice. You will never be able to figure out if you had even paid in excess, which, you will agree, is not really something you want to do. To let bygones be bygones and remedy the situation now, you can ask for credit report from Equifax, Transunion and Experian, all the credit bureaus. You can do this via annualcreditreport.com. You will find all your financial history stashed away here: credit cards, mortgages and loans, everything. Some forgotten accounts may surface wherein you were to clear your debts but had not. When you find this kind of state of affairs, do not make the mistake of deciding that your creditors have, like you, forgotten too. It just does not happen in this world. They are just lying low, that is all. Include them in the list of your creditors and pay them. Are you in the habit of receiving tax refund checks from the government? Unless you are so rich that you do not have to bother about keeping track of your payments to IRS, you must have a careful eye on them. According to IRS, checks for even $3,000 are not unusual for refunds. If you pay more than what is required, what in effect you are doing is, providing an interest-free loan to government! Not a bad thing to do. In fact, we readily laud you for your generosity but can you afford to do it? If you realize that you cannot really afford to do this, you can overcome this aberration by adjusting W-4 withholdings in your workplace. You can put the cash back into the paycheck. If in deed you are receiving sums around $3,000, your paycheck will be richer by $250 every month. And, those extra funds can be used to pay your debts, can’t they? Remember the “That 70s Show” episode Garage Sale? If Garage sale merits a television show, there should be something in it, you can’t help feeling! In deed there is. Garage sale is something that can raise cash from the neighborhood folks for things that have been in your attic, unused for a long time. What you may consider junk may be of a good value to someone else. If your unused items are in good condition or if in need of minor repairs, you may hope to raise a good amount of money which you can use for paying off at least part of your debt. Make a list of things you have in your house which you do not use and sell them in garage sale. You can advertise by putting up notices in the neighborhood and spreading news by word-of-mouth. You may even sell them through ebay.com or craigslist.com etc.. Only, it may take a while to clinch a deal. This may not hold true in everybody’s case but there is no harm in checking if you are owed some unclaimed cash. Or, if someone had left some amount of money in his will, unknown to you. This is not as farfetched as it seems. The IRS says it is holding on to millions of tax refund checks that have not been encashed. Jog you memory if IRS is talking about you, even if in a very insignificant way. Some other unclaimed money may lie as dividends, safe deposit box contents etc.. You will be able to find the details from MissingMoney.com. 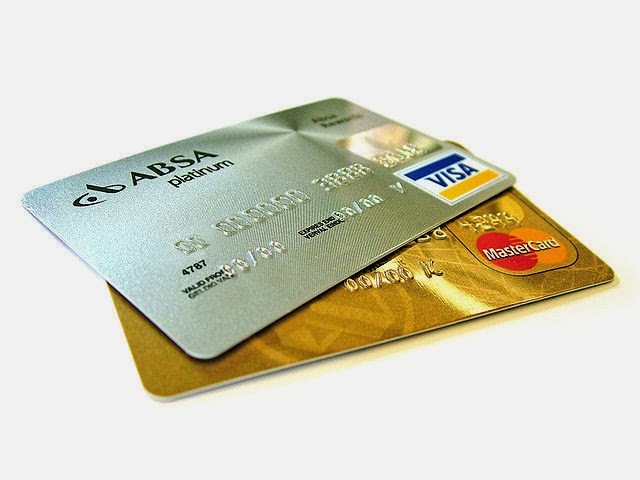 Credit card payments have this option for you to pay only the minimum amount each month. Do not use this method for credit cards payments. You may think that the card companies are being considerate to you. In actuality, you are just making credit card companies and banks richer. Pay as much as you can, always above the minimum. The extra amount, even if it is a paltry 20 dollars, will have its own impact on your creditworthiness. Sara Starks works as the digital advisor for Buddy Loans and is their content strategist too. She works with a team of financial advisors to finalise what sort of content is going to go on the website so that people can reap maximum information off their help portal .